Friends of the Domes is thrilled to announce our new Adult Education Program! The Domes are a pillar to the education of Milwaukee and the surrounding communities. Our goal is to provide powerful experiences to our visitors and members with the use of this deeply unique and globally diverse facility. We look forward to welcoming members of our plant-loving community to the Domes and other venues across the greater Milwaukee area for fun-filled workshops and classes. Keep posted on upcoming events here on our website, calendar and social media outlets, or become a member and receive our emails and member discounts on course admissions. in support of the Friends of the Domes Adult Education Program! Cost: $28 for FOD Members / $35 for nonmembers for each class. $74 for FOD Members / $95 for nonmembers for all three classes. Class Description: Want to learn to paint? Let's escape the unpredictable weather of Wisconsin and paint our way to a better scene! 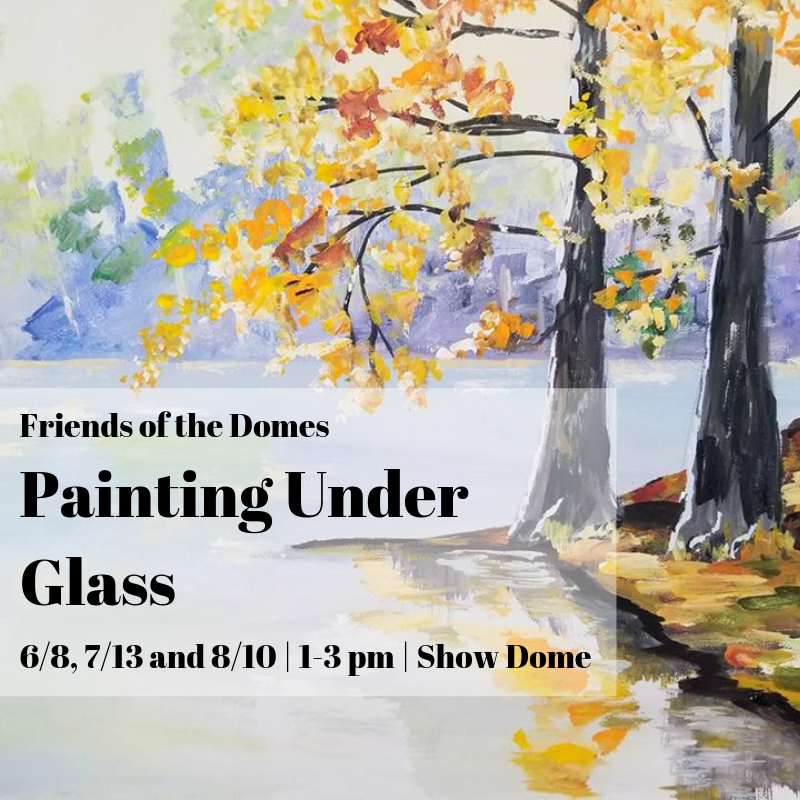 Come join Ashley Annachino at the Domes to spend a relaxing, picturesque session while receiving step by step instructions for painting beautiful landscape paintings! You'll learn tips and tricks artissts use so that you develop your own skill set! The best part? No experience necessary! Materials will be provided in this two hour session and you can take your materpiece home right away to display! Come alone or sign up with friends or family! You can either choose between sessions, or sign up fo rthe whole 3-class series! Let's try something different this summer! Thank you for supporting Friends of the Domes Education Programming!